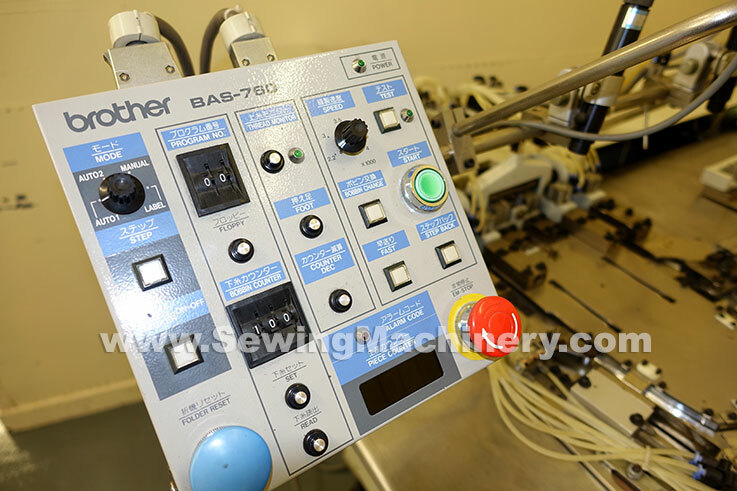 Brother BAS760 automatic pocket setter. 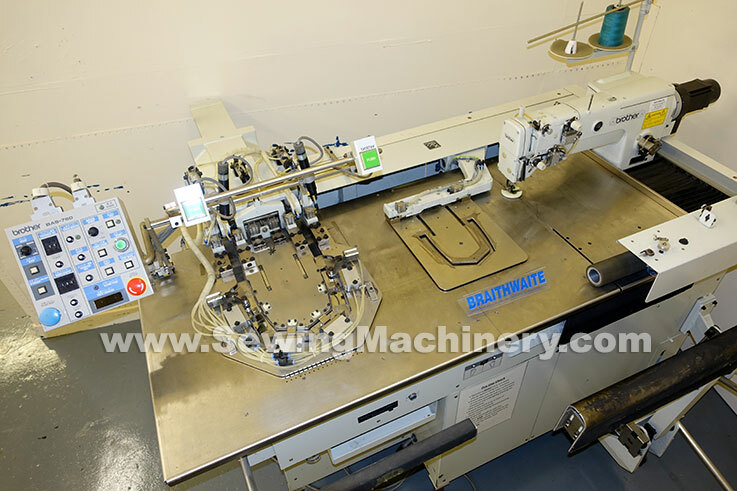 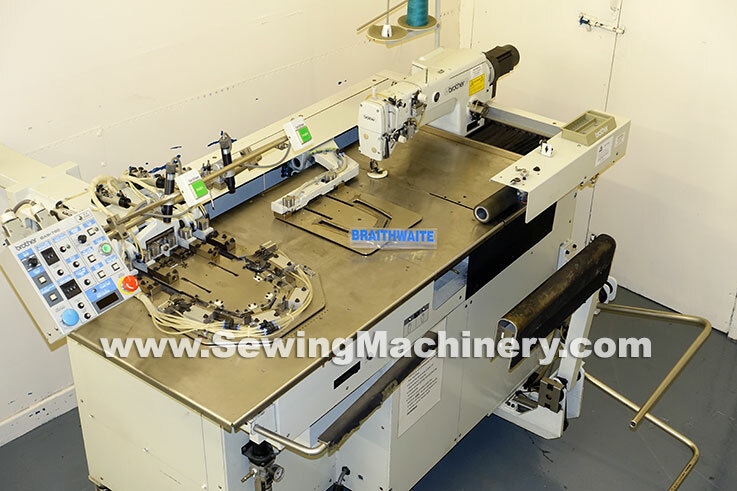 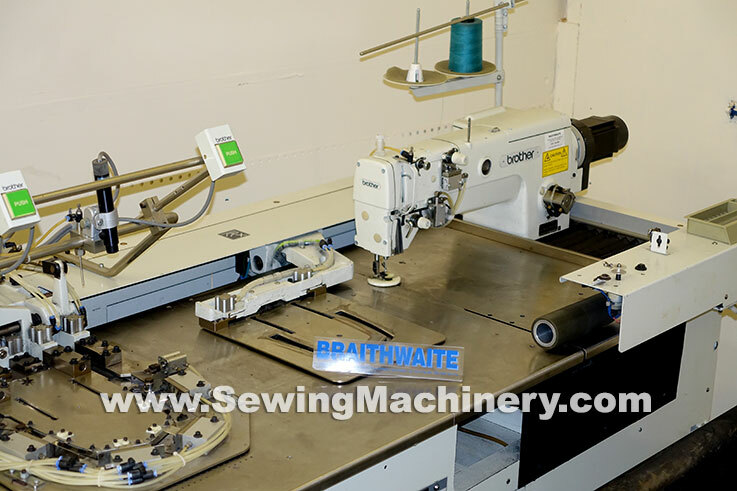 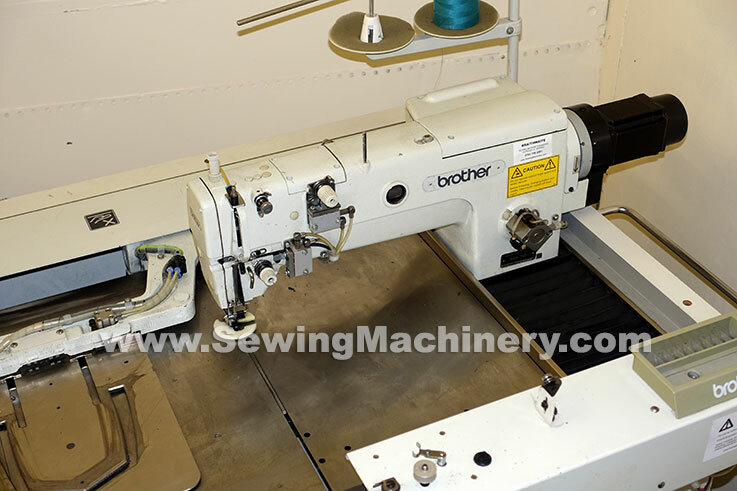 Automatic high production model for sewing pockets onto various types of Jeans & other materials. 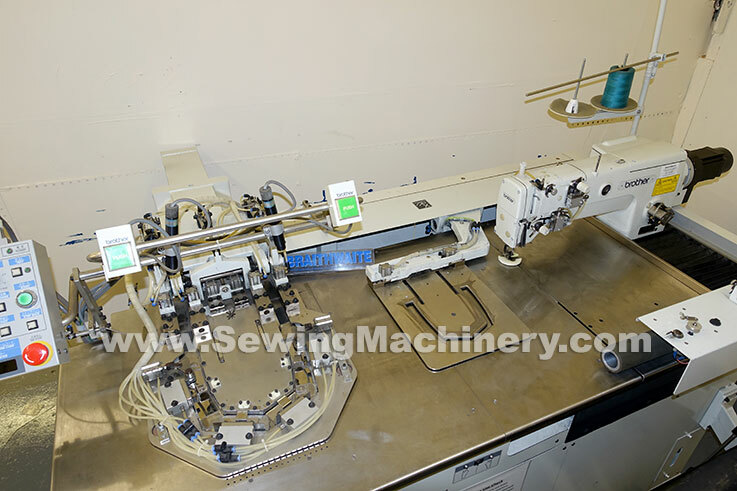 Production estimated up-to 2000 pockets per 8 hour working day. 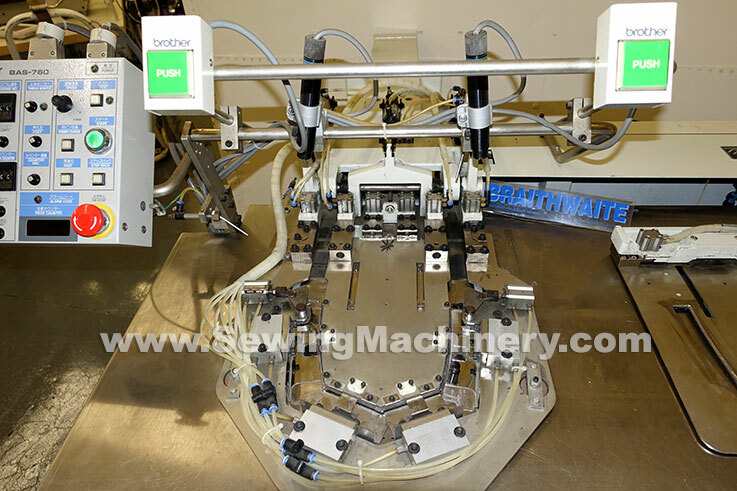 Auto stacker included for up-to 50 ply and 3.5" disk drive for easy program loading and storage. 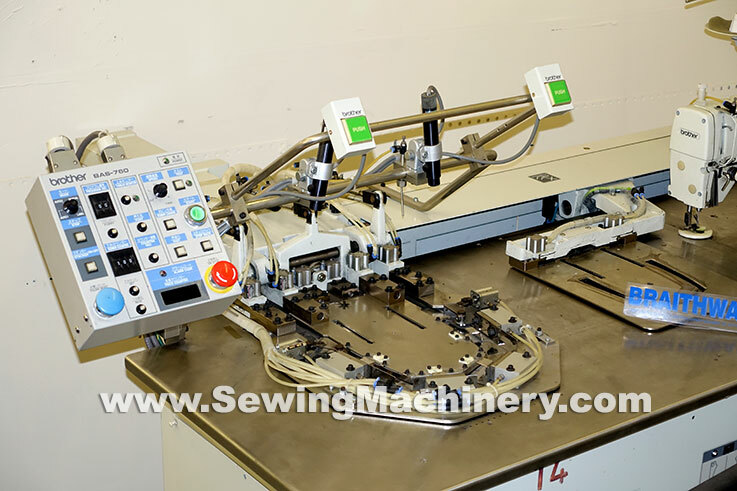 Instruction manual & extensive parts book included.